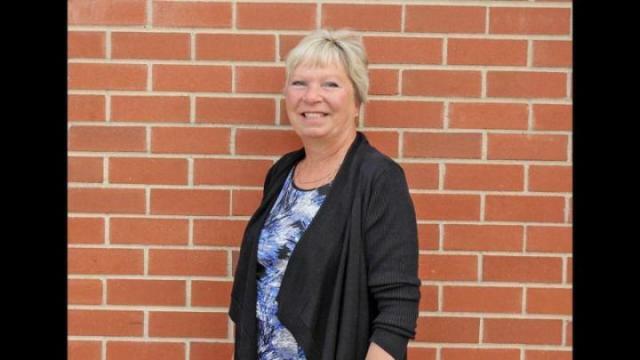 Bobbi McCoy has put her name in for the running for Red Deer City council. Originally from North Vancouver, McCoy moved to Red Deer in 2003 and says it’s an incredible community and she’s never seen anything like it. “We’ve had two economical crashes since I’ve moved here and people still come together and help each other,” she said, adding the City is very community oriented and she’d like to be a part of that. She said one of the big issues in the City is the drug problem. McCoy said she has a soft spot in her heart for the homeless and likes to help them out in any way she can. “I do take out the time in the winter myself and go out and give scarves and toiletries and plastic bags and whatnot,” she said, adding that that’s when it’s the critical time. She said every little bit helps and that it’s important to make sure they’ve got the resources and know where they can go. McCoy said she’s really been pushing at her campaigning. With two grandchildren in Red Deer, she said she wants to make sure they have a future. “Even though we’re a city, we’ve got that community atmosphere. I don’t want that to ever go away. As we grow, and we need the growth, I still want that community aspect to stay in place to keep people active in Red Deer,” she said. One of the things she would like to work on if she were voted in is helping with veterans and seniors, so that the City doesn’t lose that history, along with helping Red Deer’s homeless. She said she’d also like to work on eliminating the crime and drug use even more. With over 30 years of volunteering, McCoy still continues on with it. She has been a member of the Royal Canadian Legion, currently holding a life membership with the Red Deer Branch. She is also First Vice President of the Alberta NWT Command of the Royal Canadian Legion. “I’ll be going for president for that as well, so that’s a lot more issues dealt with in Alberta,” she said. They have since added first responders to their list. With all of her many hours of volunteerism, McCoy has been awarded for her work with many certificates and plaques of appreciation. In 2013, she received The Queen’s Diamond Jubilee Medal, Minister of Veterans Affairs Commendation in 2015 and Sovereign’s Medal for Volunteers in 2016. She has sat on the committee for a short time for Green Deer, has helped in the opening of Veterans’ Park and was instrumental in getting free meter parking for veterans. She has also volunteered at the Rotary Black Tie event and silent auction. With a passion for making a difference in the community, McCoy said she will bring her dedication and experienced volunteerism to the community.